Rise and Shine. What gets you out of bed in the morning? My answer is contained in the words of this poem found in Joyce Landorf’s book, Balcony People. and saw what no else saw? And who is the special affirmer who catches quick glimpses of flames from the fires of your potential and tells you so? Who, by his or her words, helps you to respect your own value as a person? For me this quote captures one of the finest descriptions of what a coach can add to your life. It is the essence of who I am. I wake every morning eager to affirm and encourage people like yourself to cultivate your potential, grow in purpose and produce lasting impact. I was raised with a strong heritage on the rural farm lands of South Western Ontario, Canada. Perhaps maple syrup still runs in my veins which explains my sweet tooth. Now I live on the high Sonoran Desert of Tucson, Arizona with my best friend and husband Don of 43 years. So how does a high achieving baby boomer and lover of the lakes get to the desert with a dual citizenship? Simply stated. My heavenly Father’s story of transformation intersected my life at University and I follow where He leads. Wish I could say I always followed without a fuss. Coaching is about change and growth. 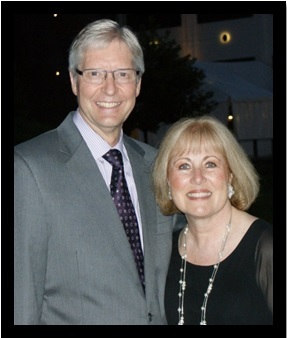 Then career changes transplanted us to the Napa Valley region of Northern California when Don transitioned from a family physician to a hospital administrator. Hello sunshine, wildfires and earthquakes! And finally here we are in the desert learning to bloom where we are planted. Technology affords me great flexibility both with client calls and live on-line classes. Coaching is about facing life’s challenges proactively. Burnout and the breakdown of our early marriage relationship resulted when I was trying to have it all and do it all. Now as a coach I encourage self-care and healthy relationships. The tragic loss of both of my parents within three days of each other and our serious car accident two years later give me a deeper understanding of loss and limitations. Life is fragile. Every day is a gift of discovery from God. Christian coaching is about discovering your God-given gifts and passions. I’ve been the business owner of a Christian bookstore and a service company; traveled with a missions team to Nigeria; held several church staff positions including Director of Christian Education and Family Life Coordinator; and served as a children’s worship leader and women’s ministry teacher. Coaching is about stepping back to see where you are right now. I coach with church and ministry leaders, pastors and their wives, missionaries, and speakers to help them be their natural best. I am a speaker, a published writer, and I equip others to present their messages. Life is rich and there is a lot more ahead. Coaching is about pausing long enough to get an objective view of where you want to grow. Without growth there can be no meaningful fulfillment. I have always worked with my own personal coach and advanced training keeps me on the growing edge so that I can better identify with my clients. A master’s degree in education serves me well in my ninth year as a Professional Certified Coach, PCC and member of the International Coach Federation. I am passionate, professional and loyal to their standards. It is a joy to serve as a faculty member at the Professional Christian Coaching Institute, (PCCI) equipping others in this fast growing and very rewarding profession. What a great team! I also serve as a staff trainer and breakout presenter at the Speak Up Conferences with Carol Kent Ministries. Just for fun I studied floral design and attended a professional clown school. Coaching is about living out your values. Don and I are active and involved parents. 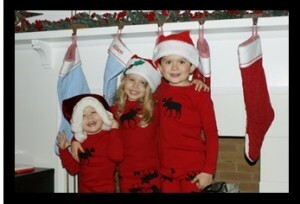 Our three grandchildren keep us young at heart and dependent on prayer. Others describe me as creative, hard-working and wise. I have a heart for family, an eye for God’s beauty, an ear for hearts, and the gift of encouragement. What gets you up in the morning? It would be an honor to connect with you to hear your heart and desire to move forward in your life.